There’s a meme going around that reads, “Girls compete with each other. Women empower one another.” When I first read it, I loved it. But then I thought about it a second longer. It’s tremendously sad that generalization rings so true.Let’s empower one another, regardless of age. Girls and women alike, let’s take a stand. With so much chatter about how social media is bad for society, especially young women, it’s time we do something about it. These days it seems like fame often falls on those who don’t necessarily deserve it. A lot of the people esteemed in society are not the kind of role models or folks we want to hear about on the news every night. We Want to hear about the Mala Yousafzai’s and Melissa Arnot’s out there. Let’s see women who stand for eduction, hard work, and compassion. Show me a girl who sees a world outside of herself, who follows her passion to create something that brings goodness to others. Show me someone who values a hard days’ work, someone who follows her dreams no matter the cost. Over the past few years that Crafted in Carhartt has highlighted women who deserve recognition, I’ve collected a few favorites. Take a little time to scroll through and celebrate the people out there who go against the flow to make something of themselves and the community around them. I encourage all of you who agree with this mentality to make a change in your social media habits. Follow sites that encourage you, your sisters, your daughters, your friends, and your mothers. Support the women who are more than yesterday’s gossip. Pashon Murray from Detroit Dirt. The Murray’s must have had an inkling that their daughter would do great things. Pashon is so appropriately named. A Detroit native, the desire to help rebuild the city runs through her veins. She started Detroit Dirt, a composting company that takes what most people consider trash, and turns it into great soil. That rich soil yields even better produce from farming. It’s all about the circle of life and helping foster that concept in the city of Detroit. What could be more inspiring than making life out of a pile of dirt? 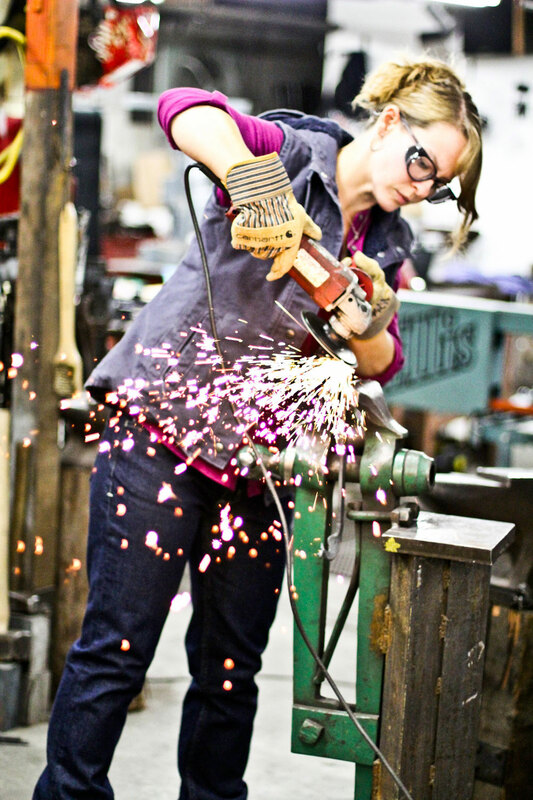 Seattle based artist, Lisa Geersten found love twice through welding. Metal work brought her so much joy and fulfillment as a job. Then she met this handsome guy at a welding convention, and the rest is history. 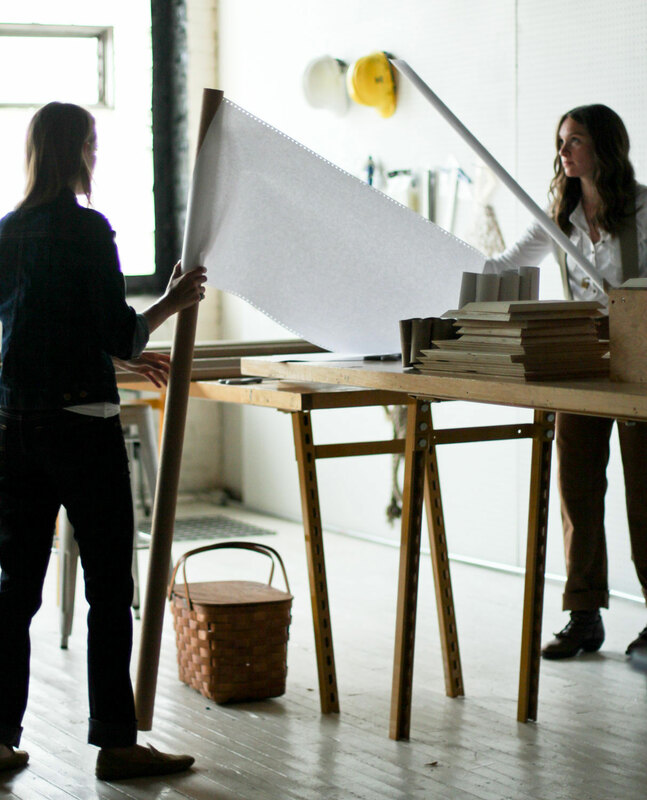 They married and now share a studio where she runs her own business, Firelight Forge. She’s currently working on a series of metal hearts, each one with a hidden meaning and secret story to share. Lisa is full of creativity, knowledge, and a solid work ethic. She’s strong enough to wield a hammer and attentive to the details that foster great artistic spirit. Linsey Burritt and Crystal Grover are the masterminds behind Indo. These girls fiercely believe in the green lifestyle. Merging their ardent desire to promote sustainable living and their talents as designers, Linsey and Crystal create the most intricate and meaningful art installations around the city of Chicago. They are always collecting materials for their next projects in efforts to recycle and save items from going straight into the waste system. When you can make beauty out of the contents of someone’s trash bin, the possibilities are endless. 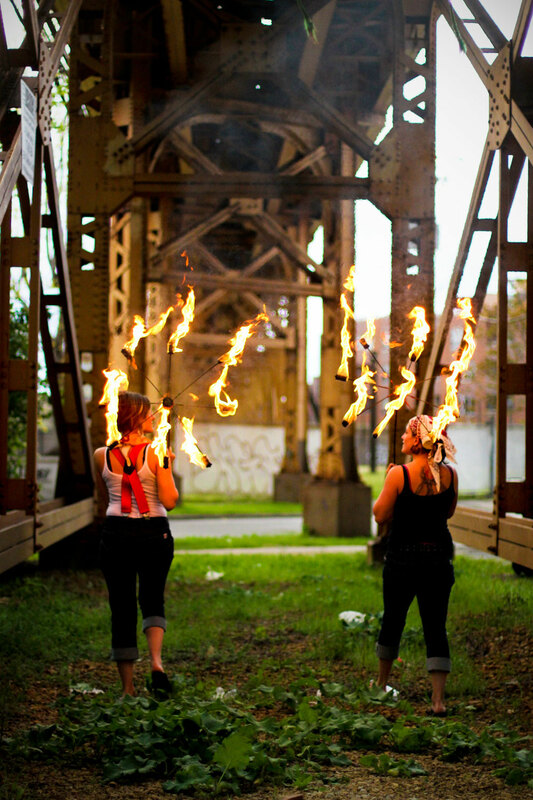 Liz Campanella and Ashley Bertling of Pyrotechniq can wield fire like no one’s business. This job is not for the faint hearted. When you juggle fire and spin around hula hoops ablaze, the odds of getting burned are high. That fear doesn’t keep Liz and Ashley away. The mesmerizing dance of flames paired with movement of the human figure is a breathtaking sight to behold. Their tenacity and talent is a sight from which you can’t peel your eyes. Dare you even blink and miss a second of their daredevil spirits at work. Meegan is a fireball indeed, kindhearted and sturdy in spirit. 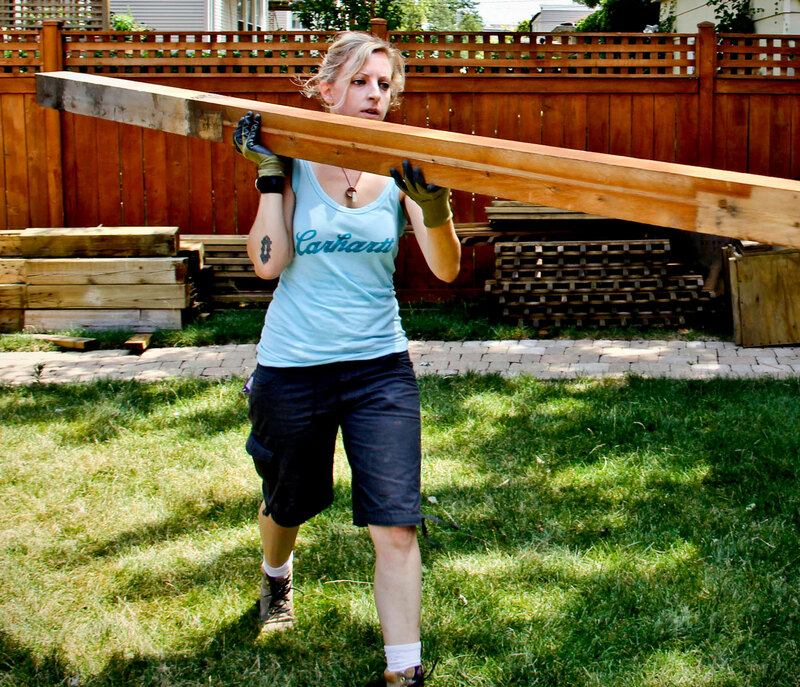 She plays a major role at Rebuilding Exchange, a non-profit that salvages building materials from houses and buildings that would otherwise be thrown into a landfill. Her background as a mason for historic restoration projects helps her to see what can be made new again. Items that most people would deem unusable and hopeless, Meegan sees differently. With ingenuity and a little elbow grease, new life comes from the trash heap. Super cute shoes and power tools. That sounds like girl power to me. After working as an architect for 7 years, Annie couldn’t shake the idea of creating her dream shoes. She wanted the perfect sole that you could walk 100 miles in comfortably, so she made it happen. Hour after hour of carving wooden templates in her basement led to her very own, entirely women run, shoe company, Mohop Shoes. That’s right, she taught herself through a series of trial and error. She carved everything by hand at first, but now her business is going so well, Annie has a giant machine that replicates the original mold for her. Her perseverance and resourcefulness paid off. Now Mohop Shoes offers socially conscious, sustainable shoe collections. Mary Catterlin and Amy Lukas are the sort of adventure junkies that demand respect. Mary spent years carving out an old tree into a dug out canoe. Once it was completed they set off on a 3 month boating trip around the perimeter of Lake Michigan. These girls camped, battled the weather, soaked up the sun, and lugged a 300 pound boat to shore and back everyday, all by themselves. They came away with a great story and a desire for more adventures. 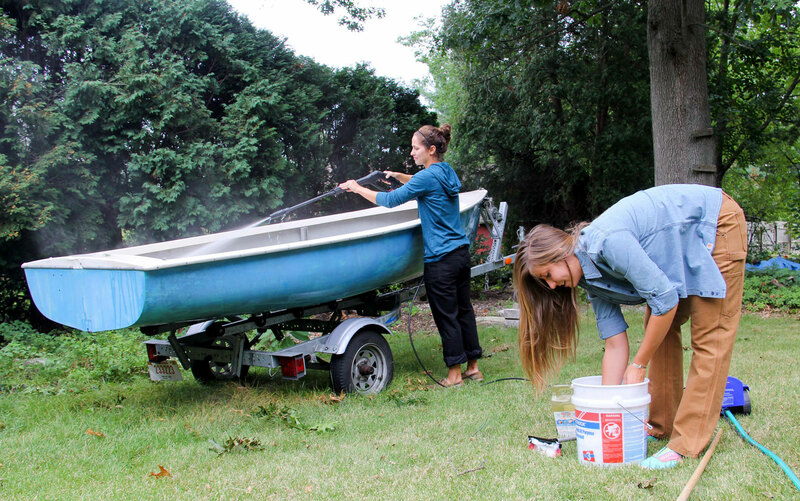 Mary and Amy are now fixing up a new boat for next summer and carving surfboards for themselves. The ability to know what you want to do and build what you need to achieve your goals is invaluable.